You know how to dress yourself. You're getting better at shaving, using hair products, and even doing squats. But your apartment, to be honest, still kinda looks like a dorm room. This is the next frontier, and BNMDA 2015 honoree David Hart wants to help you navigate it with his brand new 100% cotton collection of sheets, pillowcases, and duvet covers. The stylish linens, launching today, are designed exclusively for Thread Experiment, an online marketplace of bedding curated just for men. We caught up with Hart to talk about his inspiration, pattern mixing, and what kind of sheets he loves to sleep on. "I looked back at some of my favorite patterns from past collections and put together this great Southwestern themed sheet set and then another set that's nautical inspired. I grew up in Annapolis, Maryland, right by the Naval Academy and I grew up being on the water a lot where people were sailing all the time. 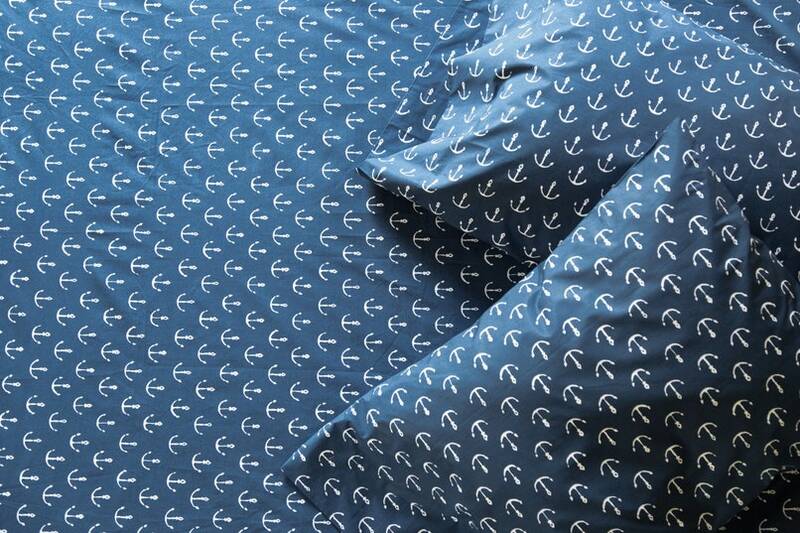 So I love that type of iconography of the anchor and I thought it would be great as a sheet set. The pillow cases are an abstract stylized version of waves or water, and the two play off each other so well. I'm also very interested in the American Southwest, so I wanted to capture that as well. I haven't spent much time in the Southwest, so this is kind of a fantasy of what it's like there. I probably need to take another trip there soon." 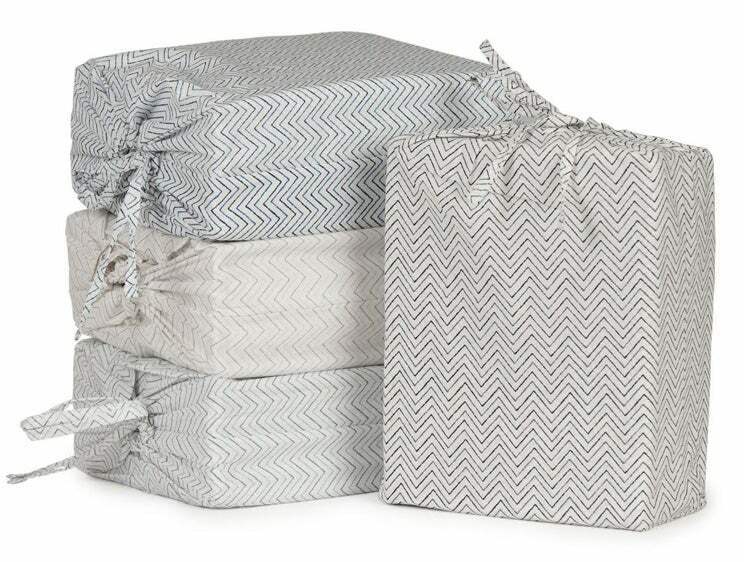 Bedding With a Masculine Bent? This Founder Wants to Reinvent a Category for Men — Again. It was April 2013, and Greg Shugar was thoroughly exhausted. He’d spent the past 11 years working around the clock -- “people always use the phrase 24/7, but it was probably more like 18/7,” Shugar says -- building The Tie Bar, a startup that sold stylish neckwear for $15 a pop. The culmination of those efforts arrived in the spring, when private equity firm Chicago Growth Partners acquired a majority stake in the company. Shugar and his wife, Gina, who built the business out of their Chicago home, relinquished day-to-day responsibilities and packed up for sunny Florida, where he grew up. Just four months after his exit from The Tie Bar, the business wheels started turning again. 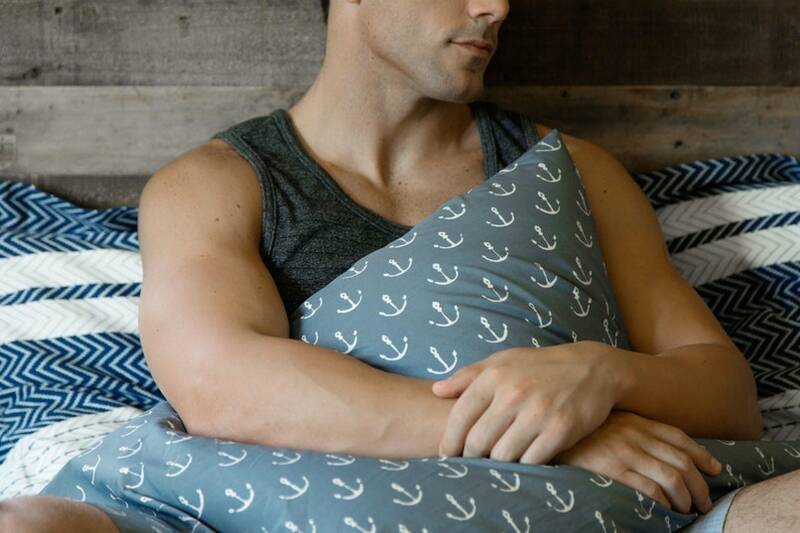 And that October, though still wracked with exhaustion, Shugar ultimately succumbed to his entrepreneurial urges, linking up with two co-founders to create Thread Experiment -- a maker of masculine bedding that officially launched last fall. Shugar is not the only entrepreneur to have intuited in recent years that the bedding industry may be ripe for disruption. Pegged at $12 billion in 2015, market research firm IBISWorld describes it as a relatively mature and fragmented industry with no significant brand leaders. The biggest consumer segment is aged 55 to 64. But today, attitudes are changing. Shugar points to the fact that men are getting married later in life and divorced more often -- as well as the legalization of gay marriage (which could mark a potential boon in wedding-registry purchases) -- as evidence that a need exists but is not being fulfilled. Another kind of customer Shugar envisions is a stylish 20-something who just graduated from college and suddenly realizes his dorm-room décor will no longer cut it. 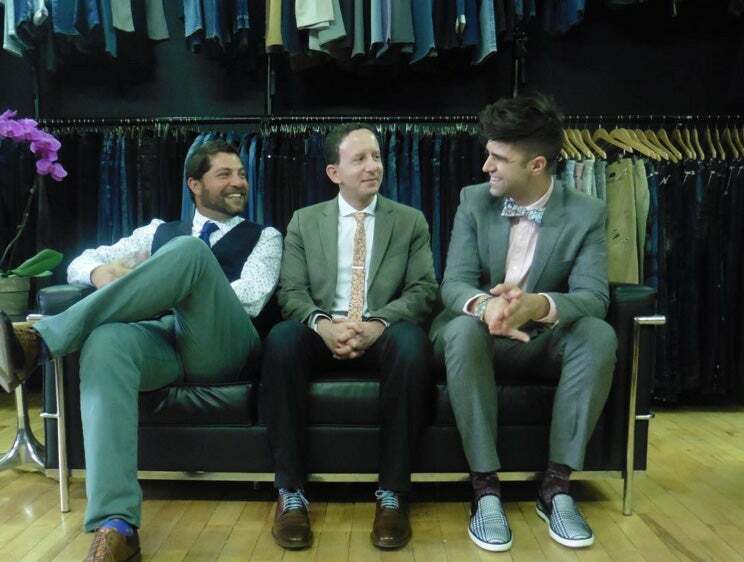 Partners in Thread Experiment include Greg Winner, an old friend of Shugar’s, who heads up financials and operations, and Justin Mikita, who had previously collaborated with Shugar on a charitable bow tie collection for Tie The Knot, an LGBT organization that Mikita co-founded alongside his husband, Modern Family actor Jesse Tyler Ferguson. 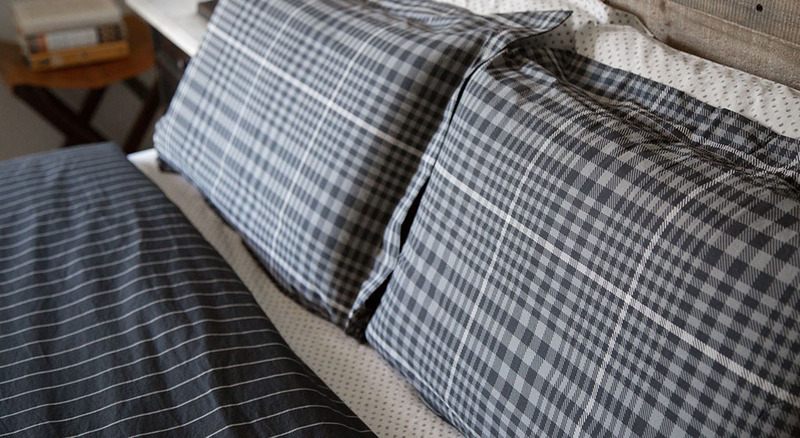 “My favorite part of this process has been taking traditional menswear conventions -- buffalo plaids and houndstooth and ginghams -- and converting them into what we’re calling masculine bedding,” says Mikita, who serves as Thread Experiment’s creative director. Duvets, shams, comforters, sheets and pillowcases, which tout a thread count of 300, are available in 100 percent cotton as well as cotton/linen blends. Prices range from $28 for a pillow sham to $98 for a twin-sized sheet set and $188 for a king-sized duvet cover. The line, which now counts 21 bedspreads and 25 sheet sets, is manufactured in China. Mikita’s favorite piece, he says, is the Spark duvet, a grey plaid that covers his own bed at home, and which also happens to be the line’s top seller. In his guestroom is a close second favorite: a bold, Southwest-inspired print created by the men’s fashion designer David Hart. That’s not to say it gets any easier the second time around. Shugar, who had no prior professional experience in either of the industries he sought to disrupt, describes the marketing obstacles for Thread Experiment as twofold: convincing men that they should care about bedding, and then convincing them that Thread Experiment should be their premiere shopping destination. Chicago – Thread Experiment, the lifestyle bedding brand designed exclusively for men, has forged its first designer partnership for a new capsule collection. The brand, which also operates an ecomm site, collaborated with menswear designer and 2015 CFDA/Vogue Fashion Fund finalist David Hart for a limited-edition collection that includes two exclusive designs. Hart specializes in bringing a modern eye to traditional menswear motifs. “I was inspired by the American Southwest and by the Spaghetti Western films of the 1970s for the Thread Experiment collection,” said Hart. The two designs are the Anchor by David Hart sheet set, which is available in a 100% cotton percale, and the David Hart duvet/comforter, which is a linen/cotton blend in a color palate of maroon, black and beige. Sizing runs from twin through California king. Pricing begins at $98 for sheets, $138 for duvet covers and $168 for comforters. Thread Experiment was co-founded in spring 2015 by entrepreneurs Greg Shugar, Justin Mikita and Greg Winner, whose previous launches included The Tie Bar and Tie The Knot. 5. 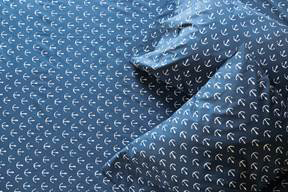 I dressed my bed in new anchor sheet set from Thread Experiment – I love that graphic hit of pattern, plus it co-ordinates so well with my navy wall. Greg Shugar was on a mission. "It might be odd, for a straight married man," he says, "but I was in charge of decorating our house." Shugar, the Chicago-based founder of The Tie Bar, a men's accessories company which he sold in 2013, didn't have much experience with interior design. But his wife, he says, trusted him to have a good eye and a knack with fabrics. And after selling his company, he had a little time to spare. So he got the job. The biggest obstacle he encountered? The bedroom. "I started shopping for bedding," he says, "and everything was floral. And ... turquoise. I mean, I don't need cowboy hats on my bed, but I'm a man. I don't want to look at flowers every day. I just want something that appeals to my masculine aesthetic." He's not alone in that. The bedroom, it turns out, is an all-too-common stumbling block for couples trying to decorate together. Balancing the needs, wants and style sensibilities of two people in the most personal space in the house can be a delicate business. "There just needs to be some compromise," says Shugar, who launched a new bedding company, The Thread Experiment, based on that revelation. With an aesthetic drawn from the way a stylish man might dress, he's aiming for gender neutrality in bedding — and trying to end that stalemate for couples shopping for sheets. We say why stop there? We've pulled together a recipe for a room of your own — one that suits both of you to a T.
The designs embrace seasonal interpretations of menswear fashion trends and will include five original duvet covers and comforters, as well as two new sheet sets. Staple menswear prints, like gingham, unite with masculine colors for the spring/summer 2016 collection. Sizing runs from twin through California king and is manufactured using only natural fabrics. The collection will be available in 100% pure long-staple cotton, which is known for its crisp finish, softness and durability. Pricing begins at $98 for sheets, $138 for duvet covers and $168 for comforters. The lifestyle brand will celebrate its one-year anniversary in May, which will make the upcoming collection the third for the company. Thread Experiment was co-founded in spring 2015 by Greg Shugar, Mikita and Greg Winner. Shugar founded direct-to-consumer brand The Tie Bar, which is known for its men’s necktie fashions, while Mikita created Tie the Knot, a direct-to-consumer bowtie channel. This experience led the two to team with Winner, who handles operations and finances, to create another direct-to-consumer brand aimed at the top-of-bed channel. Shugar said there’s a noticeable gap in top-of-bed styles that appeal to masculine sensibilities, which led the trio into this business. The co-founder of Thread Experiment already helped create a new market category with The Tie Bar, founded in 2004 to market and produce men’s accessories of the kind a GQ editor might obsess about. After selling the company to a private equity firm in 2013, Shugar moved to South Florida and rode out his noncompete agreement making inroads in the Palm Beach startup community. 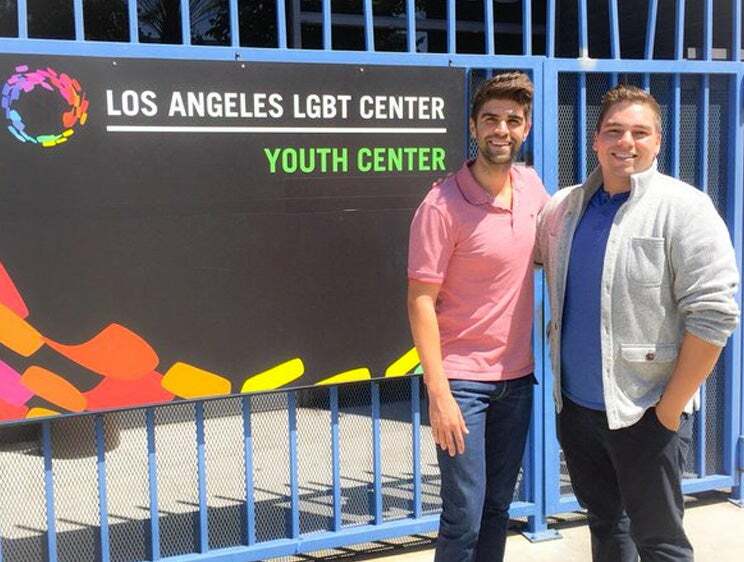 In May, he and two partners launched his newest venture, which, just like his last, is focusing on a niche that doesn’t quite exist yet. Thread Ex is trying to popularize “bedding for men,” linens and home goods designed and marketed toward stylish bachelors. Shugar spoke to the Business Journal about how his new venture differs from his old one. Even though I’m a married, straight man, I was responsible for shopping for bedding and I encountered a problem. Everything I saw had flower patterns, or was pink or lacey, in a way that appeals to women. I realized there was a huge void in the market. The more I read about it and researched, the better it sounded. It’s about image. Some men spend so much time dressing up, and then they take a girl home and it’s a mess. This is trying to address that. Men started being fashion-conscious in a significant way about seven years ago, then got into grooming, where there’s tremendous growth in things like shaving products and beard oils. I think bedding is the next logical section. In what ways has your newest venture been similar to what you were doing at your last company? It’s actually quite similar. We’re developing our own brand, which starts with the original design and original quality to create an original product. It’s very much the same story as The Tie Bar. But in the two years since I sold The Tie Bar and launched my new business, a lot has changed about e-commerce and digital advertising, and I almost had to learn it all over again. Is a second company like a second child? When I started The Tie Bar, I literally didn’t understand what branding something meant, and now I can start with the knowledge of building a brand out of the gate. On the logistics side, knowing how to do something like order fulfillment is invaluable. And lastly, probably the biggest one: having the experience of dealing with factories overseas. There are some things that are just as hard each time, though. You really have to create your own buzz; building a website is not nearly enough. You have to hustle: The fact that I founded The Tie Bar means nothing to anyone in the bedding world. It’s still a startup. I need to be able to prove that the market exists, and then prove to people that they should buy my product. My familiarity so far has been selling men’s ties, and that can very much be an impulse buy. Bedding is different. Bedding is an investment … of money and time. [That] means it’s important for you to hear about the brand now – when you’re not shopping for bedding – and remember it three months down the line – when you are. You have been working in Chicago for the past decade. Why are you doing this new company here? I grew up in Miami Beach, moved to college in the Midwest and met my wife there. After I sold the company, my wife looked at me and said: “It’s cold in Chicago; why don’t we move to Florida where it’s warm and where you have family and where you’re from?” We have a partner in L.A. and one in Chicago, so I don’t know that we’re a South Florida company, but I’m definitely a South Florida guy. It’s a great entrepreneurial community. I joined [angel investor group] AGP Miami and worked with FAU Tech Runway, and that has helped me acclimate to the community. It’s very inspiring: I meet guys who are so young and yet have such advanced ideas about how to launch companies. I’ve really been inspired by that drive. You let her make the first move (h/t Bumble), you charm her with a few Master of None quotes, but when you step into your chambers for the ol’ Paphian jig … style-deficient, unkempt sheets. What you need is the Thread Experiment, the new online retailer with roots in Chicago selling stylish, masculine bedding for your sheep-counting pleasure. Established by Greg Shugar — who in 2004 founded Tie Bar — Thread Experiment is all about “moving menswear off the suit and onto the bed.” What that means: dapper glenplaids, herringbones and paisleys instead of overly femme pastels with lace trim or ho-hum white linens. Thread Experiment peddles in the middle ground. And their sheets are cozy as they are stylish, built with 300-count cotton percale, a crisp fabric that’s cool to the touch but also one of the most durable materials in the bed-setting game. Start with your base layer sheets. General rule of thumb: keep it simple. We suggest sticking to classic colors, like one from Thread Experiment’s Washed Solids. Charcoal is easy on the eyes. Creativity and personality comes by way of every layer thereafter. 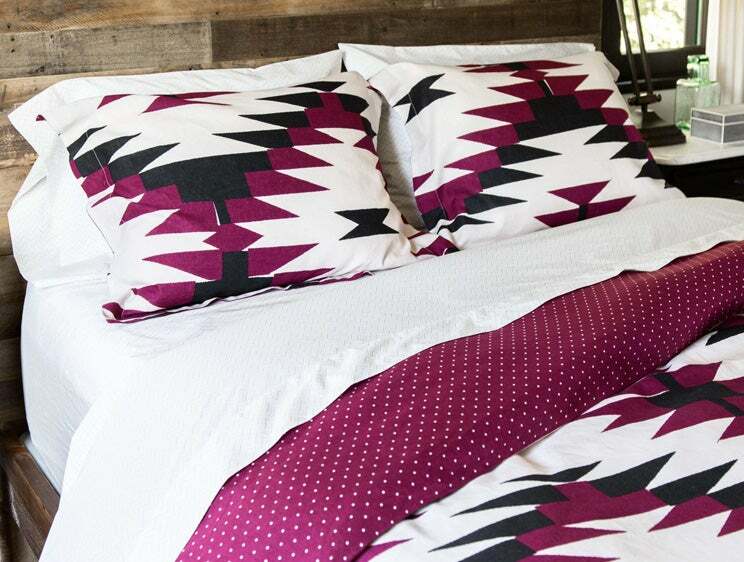 Go with a comforter or duvet that speaks to the rest of your abode. Something neutral like the Ivory Tooth for a toned-down option, or the Southwest-inspired ABQ if you’re feeling adventurous. Greg Shugar thinks men need more bedding options. Yep, bedding—as in sheets, shams and duvets. But before you laugh, consider this: Shugar has already hit it big once, giving men something else they didn't realize they needed. In 2004, he founded Tie Bar in his Chicago basement while working full-time as a lawyer. The company sold colorful, stylish ties at a fraction of the prices you'd find in department stores—generally about $15 a pop—and did it (gasp) over the Internet. By 2013, Naperville-based Tie Bar was raking in eight figures in annual sales when Shugar sold a majority stake to private equity firm Chicago Growth Partners. Now Shugar is back with a new venture, Thread Experiment. As he explains it: "My wife put me in charge of decorating our new home, and all the bedding options I could find were as feminine as it got—pink, turquoise, lace trim." He thought the lack of masculine bedding was particularly notable because men are getting married later than ever, or are divorcing and re-entering a bachelor lifestyle well beyond their 20s. A plain, uncovered duvet, or a dorm-style black watch plaid bedspread just won't do. "When I sold Tie Bar in 2013, the menswear renaissance was in full swing," Shugar says. "Men had never cared so much about how they looked or their grooming. The home is the next frontier. Men can't bring a woman home to a place that looks like they just got out of college." So Shugar ditched his own college-centric plans—"I was going to retire and teach; I had basically bought the blazer with the elbow patches"—and dove back into the e-commerce game. Industry data suggests he might be on to something: The International Sleep Products Association estimates bed and mattress sales will increase 4 percent annually in both 2016 and 2017, as home buying increases and consumers show more willingness to shell out for big-ticket items. It stands to reason that many of those mattress buyers, especially younger ones who are increasingly purchasing high-quality beds-in-boxes from a slew of mattress startups, are also looking for quality, easily delivered bedding to fit their new mattresses. The overall home textiles market is worth about $22 billion annually, according to trade publication Home and Textiles Today. Thread Experiment offers pillow shams starting at $28, sheets at $88, duvets at $138 and comforters at $148. All the pieces are 300-threadcount, 100-percent percale cotton and ship from Thread Experiment's Itasca offices. 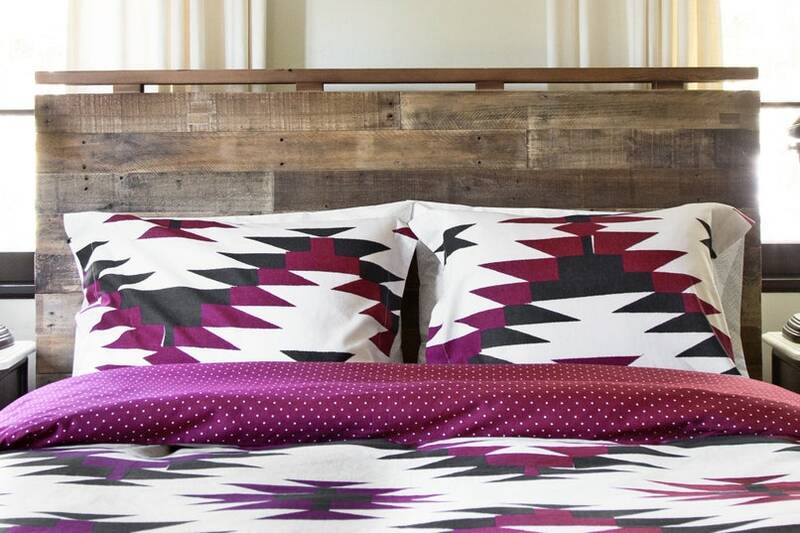 Styles range from muted gray plaids and blue ginghams to bolder Southwestern-inspired patterns. Shugar, who relocated from Naperville to Boca Raton, Florida, after selling Tie Bar to be closer to family, says Thread Experiment will remain based in the Chicago area. His partner, Greg Winner, is based here, though the products are designed by Justin Mikita out of Los Angeles.